File photo/Gloucester Daily Times. The 1949 Gloucester Fishermen football team. The stars of the team got together for a reunion. 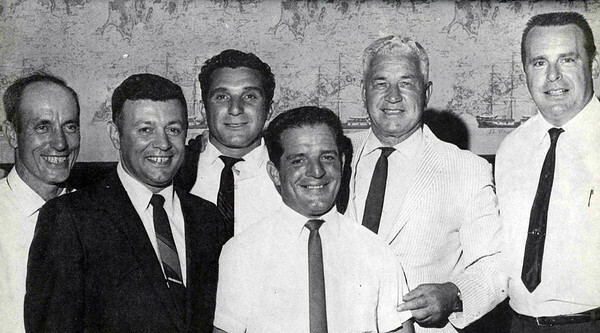 From left: Sookie Sawyer, Jack Lucido, John Misuraca, Jerry Nicastro, Nate Ross, Charlie Currier.